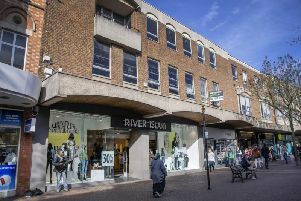 A charity shop in Northampton has undergone a £10,000 renovation programme to bring it into the 21st century. The Kettering Road Samaritans branch reopens tomorrow (Tuesday, August 8) and will be able to accept contactless card payments, as opposed to cash only. Every penny spent at the new-look store will go directly into funding the local branch, which received more than 18,000 contacts by phone, email, text and face-to-face last year. “The old image of a charity shop is a glorified jumble sale, simply isn’t true, they are high-quality retail experiences these days. The Northampton branch of the Samaritans is staffed by a total of 102 round-the-clock ‘listening’ volunteers while a further 15 volunteers help with administrative tasks and organising social events and fundraisers.